Who's ready for a SUPER clean giveaway! 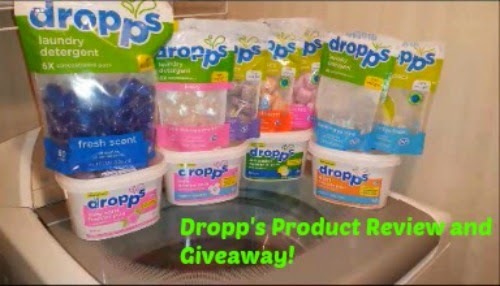 MamaBreak is assisting Meg's Moxie in giving away a THREE pouch prize pack of Dropp's Laundry Detergent of choice to TWO lucky winners! Check out Meg's review here to see just how great these products work! The giveaway begins 7/6 and ends 7/17 at 12:01am est. Enter on the easy Rafflecopter giveaway below and good luck!